Our friends at T&T Clark announce an exciting new book series on “Philosopy and Theology.” There are books in preparation on Nietzsche, Badiou, Heidegger, Wittgenstein, Hegel, Kant and Kierkegaard. 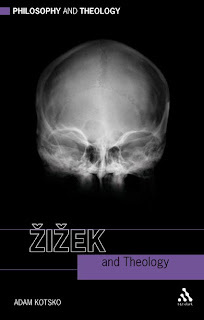 The series is opening with Adam Kotsko’s book, Žižek and Theology. Adam describes this book in a guest-post at the T&T Clark blog.